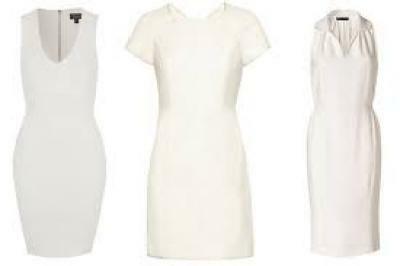 Should you really wear white to a wedding? Fashions for (and at) weddings change faster than trends and fads in a kid’s playground, and being a wedding photographer gives me an eye on what’s hot and what’s fading fast in the emotive field of wedding fashions. Not all brides wear white these days - let’s ignore the outdated notion that only virgins should wear white, and let’s not get into the whole ‘black hem on a white dress’ thing (I get to know my brides very well, but not well enough to actually go crawling into their wedding dresses looking for hems). After all, the while white wedding dress ‘thing’ only came about thanks to Queen Victoria wearing a white dress to her own wedding, and history has shown that she was a rum old girl! Too far? Too soon? In fact let’s ignore brides entirely for a moment, we all know they ALWAYS look amazing, and I wouldn’t suggest otherwise, let’s look for a moment at some of the things that wedding guests decide they ought to wear to their loved ones special day. Mothers’ of the bride should also be excluded from any criticism; they can wear what the hell they want; they gave birth to the bride after all, and that’s got to be worth a whole lot of leeway (even if they do choose a hat that looks like their head has been temporarily occupied by an alien with part plant DNA). You know what? The further I get into writing this blog post the more I realise commenting on ladies’ attire at all is not only far outside my region of expertise, it’s also potentially dangerous to my health as a married man. So as a male guest should you wear white to a wedding? Well sure you should, but only if you’re the guy hired to hand out ice creams, or if it’s a fancy dress wedding and you’ve fancifully dressed yourself as the Man from Delmonte.